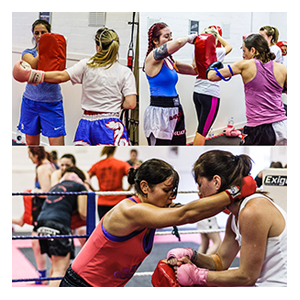 A Female Muay Thai class with Female instructors – Training in Muay Thai is an excellent way to keep fit and healthy and at the same time learn practical self defence. Muay Thai or Thai Boxing is a safe and effective way of learning exciting martial arts techniques. You will learn how to box, elbow, knee and kick as well as learn chokes, take downs and stand up grappling known as clinch work. 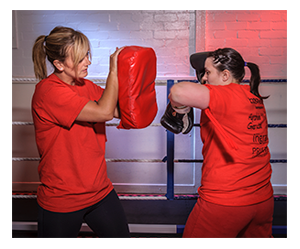 If you’re starting off or unfit, perhaps overweight then don’t worry as we will guide you to success from day one. Great calorie burning workout and focuses on toning as well.